Why electrical contractors should self-preform lightning protection installation. Report on the fatal use of an early streamer emission lightning rod in Malaysia. Installers and inspectors guide for making exothermic connections. 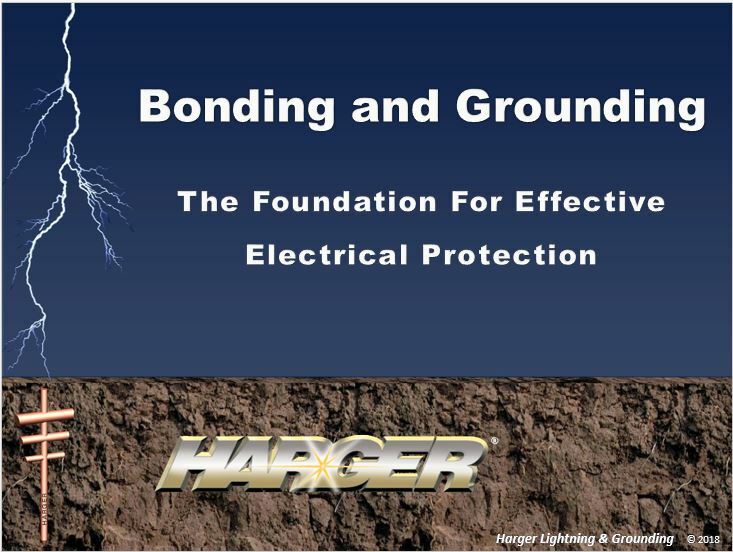 Based on the requirements of IEEE 80, IEEE Guide for Safety in AC Substation Grounding and NFPA 70, National Electrical Code, this training module will explain the differences between bonding and grounding. Also explained is how the two systems interact and function together to form a layer of safety in an electrical system. Contact Harger Today to Schedule a Training Session.